Fixed lockring chrome plated steel. 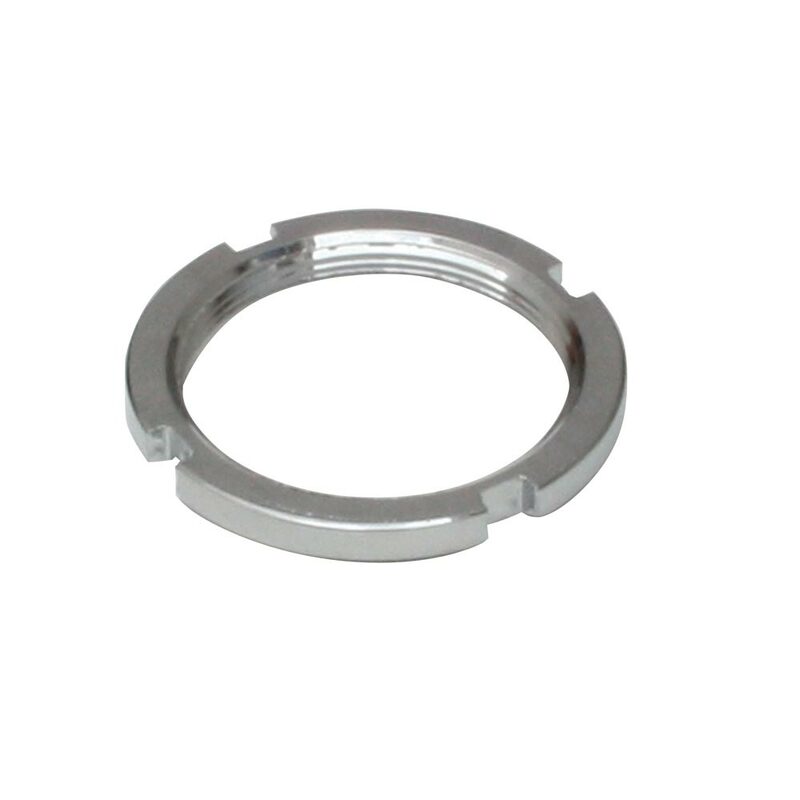 Basic, simple and neat track lockring, CNC machine finished from hard chrome plated steel. Regular 1.29″ x 24Tpi – Left hand thread. 4 Notch tool fitting. As for all fixed sprockets, for correct use the fixed cog should NEVER move on the hub when pedal force is applied in both directions. i.e. if the sprocket moves, then something is wrong. Continued use with a fixed sprocket that moves will result in damage to the hub.